Carry 2-3 DSLR or mirrorless cameras and attached lenses with the beautifully handcrafted, made in the USA, medium, coffee Clydesdale Pro Dual Leather Camera Harness from RL Handcrafts. Photographers will appreciate the quick-access, camera glide system, and wide shoulder straps. Genuine leather combined with nickel-plated brass hardware ensure strength, looks, and durability. For comfort and stability, the harness has a 6-point pivot system that allows for independent rotation points. The design permits personal configurations for different body types and movements. Two security straps are included. 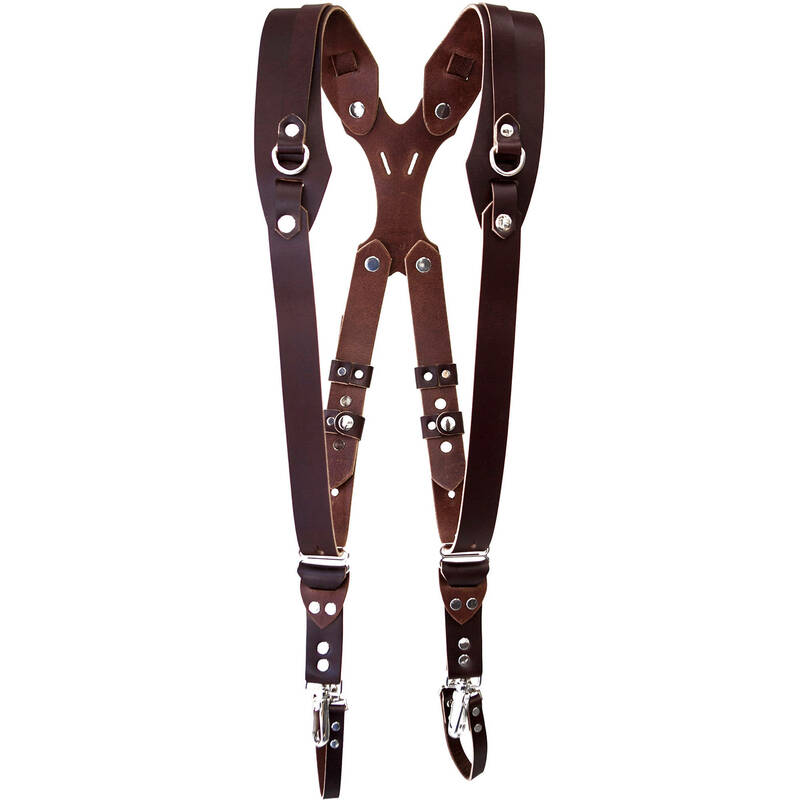 The Clydesdale Pro Leather Dual Camera Harness is available in several sizes. To ensure optimal fit with RL Handcrafts camera straps, follow the chest and height specifications. Measurements should be taken directly on your body around your chest area. Defer to the next size up or down based on height differences.